Paramedics are often the first people on the scene of an emergency. They balance compassion with critical decision-making skills and the ability to take command in a crisis and help save lives. NOTE: This program is available to domestic students only. 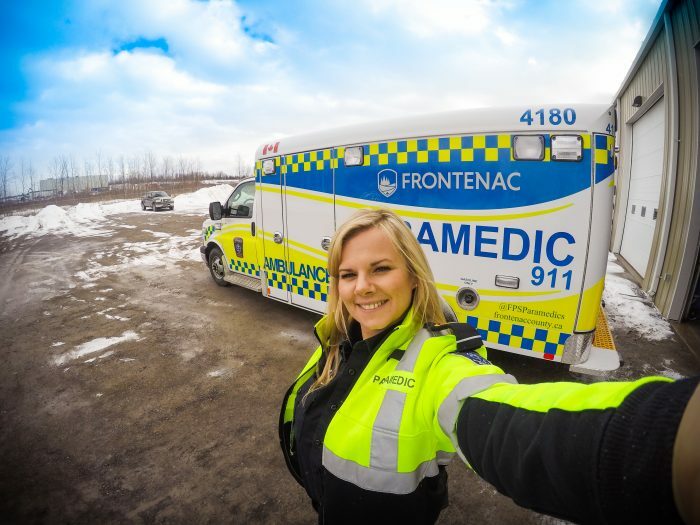 Primary care paramedics in the ambulance system in Ontario, nationally or abroad. Emergency medical responders with municipal fire departments. Health and safety educators in industrial settings. Grads are qualified to write the Advanced Emergency Medical Care Assistant (A-EMCA) exam offered by the Ministry of Health. 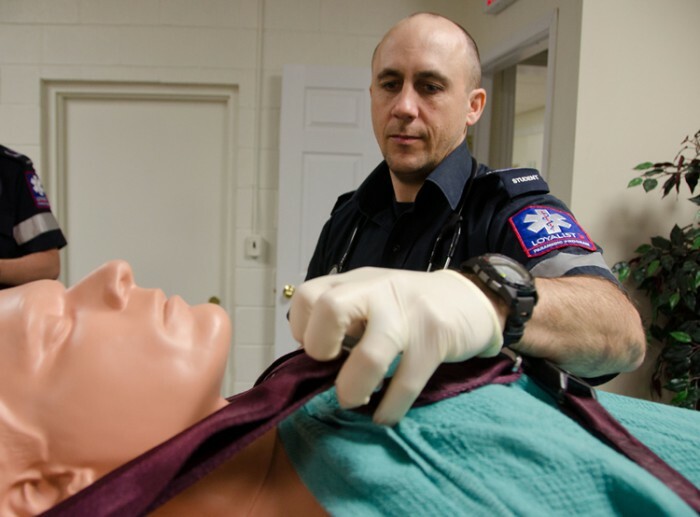 Loyalist is the only college in Ontario that offers a two-year Paramedic diploma through alternative delivery, through a combination of practical, clinical and classroom instruction. Classes are held at the Bancroft campus on alternate weekends (Saturdays and Sundays). 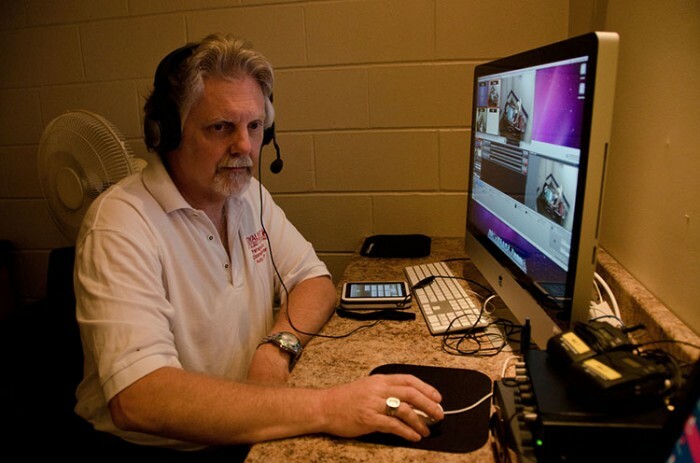 Participate in live lectures through online delivery, weekday evenings and weekends on campus, and interact with professors and classmates from the comfort of your home. 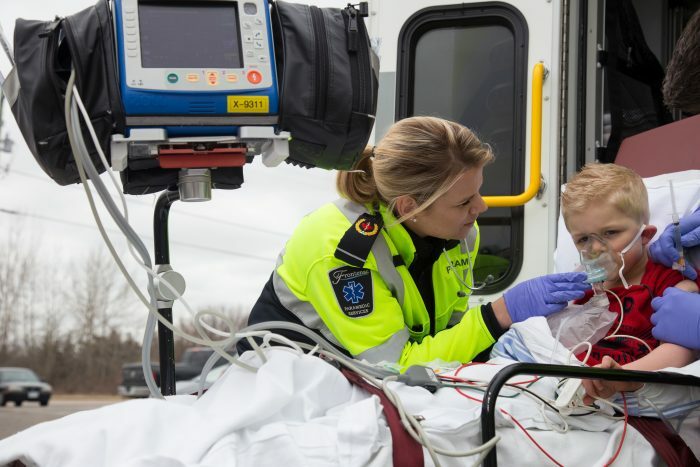 Leveraging the best practices of paramedicine established from our Bancroft offering, the Belleville campus is excited to offer a traditional Monday through Friday delivery model utilizing our state-of-the-art, interprofessional simulation centres and experienced faculty to deliver more options to the Belleville community and its future first responders. Enhance your learning and engage in 'real-life’ clinical situations with a variety of technology solutions. Access all of the resources and facilities available through a main campus experience. 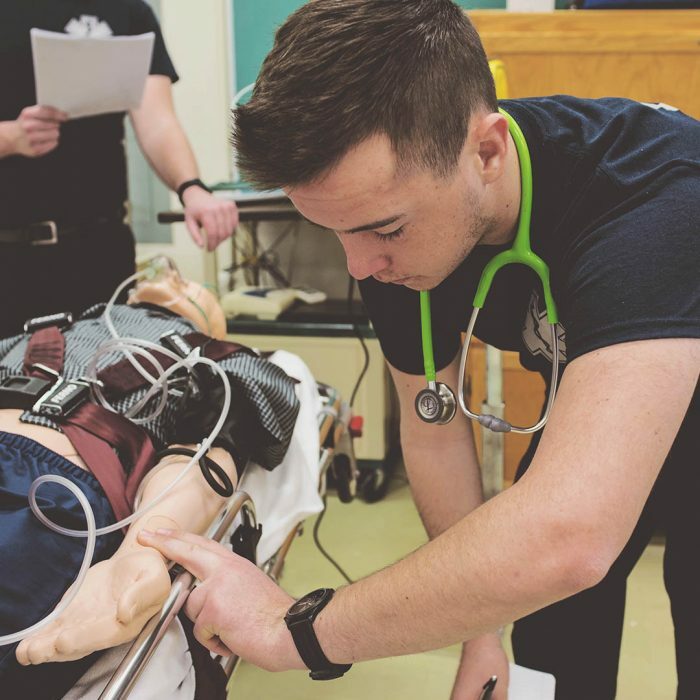 Prepare to respond to emergencies and provide life support measures in simulated and clinical placement situations ranging from urgent to emergent care situations. Learn to administer care in a variety of environments associated with paramedicine, in the field or in a moving ambulance. Learn to drive an ambulance through simulated technology as well as actual, supervised road time. Experience the job first hand during 450 hours of supervised ride-out in an ambulance. 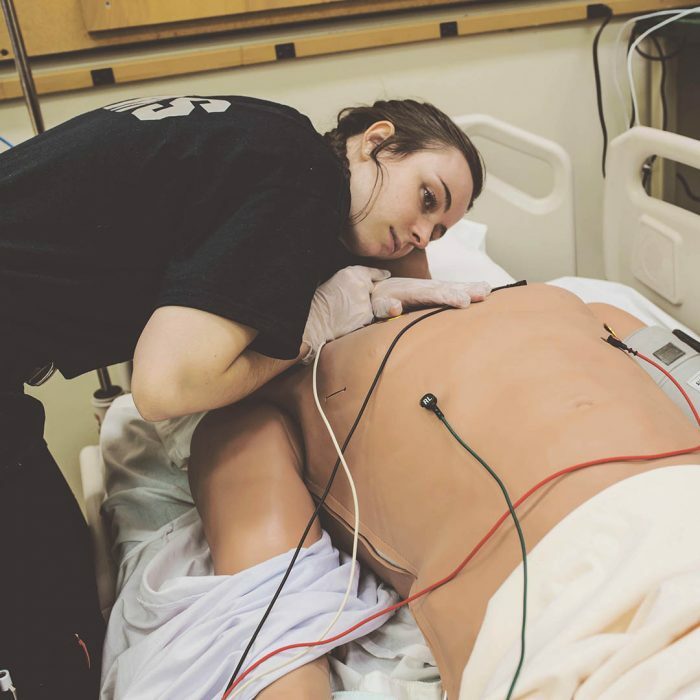 Curriculum is continuously reviewed and enhanced by instructors who work full time in the field as members of the allied health care team and are experts in their field of study, including basic, advanced, and critical care paramedics. Real-world emergency scenarios come to life in the classroom as faculty relate their experiences on the job to that week’s lesson. 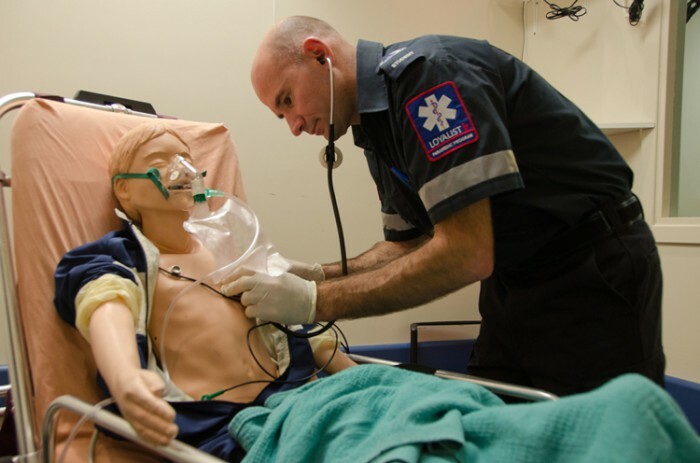 Professors come from across the province and have a depth of experience, bringing the real world of paramedicine into the classroom. This course provides the student with essential knowledge of the structure and function of the human body. This knowledge will allow the student to understand the mechanisms of various physiological conditions and to comprehend the principles underlying medical interventions devoted to maintaining or improving a patient’s condition. In the course, the student will be introduced to the various principles of human behaviour through a study of good mental health, stress and coping behaviours, through theoretical and practical concepts necessary for intervening in crisis situations and psycho-social behavioural outcomes. Special emphasis will be on crisis intervention, burn out and suicide, including the dynamics of anger and hostility. This course focuses on cognitive skills and the problem solving approach to providing quality pre-hospital patient care. The course also focuses on the components of primary and secondary assessment, application of patient care; based on priorities, which in turn is based on interpretation of assessment findings. The development of skills related to airway, breathing, bleeding and management of fractures and the use of efficient body mechanics for safe lifting is also an important aspect of Emergency Patient Care 1. Students develop physical fitness through individual and group training methods in preparation for the physical demands of the paramedic occupation. Principles of fitness training including cardiovascular, muscular strength/endurance and flexibility are introduced. Students engage in activities related to fitness, wellness, nutrition, stress management, disease prevention and healthy lifestyle. Safe and controlled lifting mechanics and proper patient transfer techniques are demonstrated. This course is designed to help the student better understand the various complex aspects of the legal and ethical implications of performing pre-hospital care. This course is focused on the Acts applicable to the paramedic in the performance of their duty and the associated governing sections of those Acts as they apply to the pre-hospital setting. Legal implications of patient care, as it applies to the pre-hospital setting, will be discussed and explored in the context of ethical decision making. The emphasis of this course is on critical thinking related to advanced cardiac assessment, interpretation of assessment findings and their implications for patient management. The student will understand and deliver the Ministry of Health EHSB protocols (ALSPCS) for Semi-Automatic External Defibrillation, the use of current pre-hospital defibrillators, and lead II rhythm interpretation. This course provides the knowledge and skill to establish the priorities of assessment and treatment for those patients in crisis due to the effects of illness/trauma. The resulting pathophysiological manifestations are assessed to identify the degree of crisis/life threat and appropriate interventions per the paramedic scope of practice are implemented and evaluated for effectiveness of care provision. In this course, students learn techniques to ensure driver and vehicle readiness for emergency service. Students acquire skills to maintain emergency vehicles, prepare and operate emergency vehicles, and drive defensively, avoiding hazards and controlling skids. Students continue to develop physical fitness and lifestyle management strategies in preparation for a career in the paramedic field. Principles of fitness training, with an emphasis on cardiovascular, muscular strength/endurance, and flexibility are emphasized. Students engage in a variety of fitness, nutrition and stress management activities designed to enhance overall wellness. Lifting mechanics and proper patient transfer techniques are assessed. Through observation and supervised participation in various hospital departments and simulated pre-hospital care situations, students are given the opportunity to apply the theoretical content learned in previous courses. They will gain an understanding of the role of hospital staff in the continuing care of pre-hospital patients. This course is designed to familiarize students with the groundwork and understanding of pathophysiological processes that lead to the varying medical and traumatic conditions which students are taught to manage in Emergency Patient Care. This course focuses on basic pharmacology with a special emphasis on drugs used in the treatment and management of pre-hospital care. 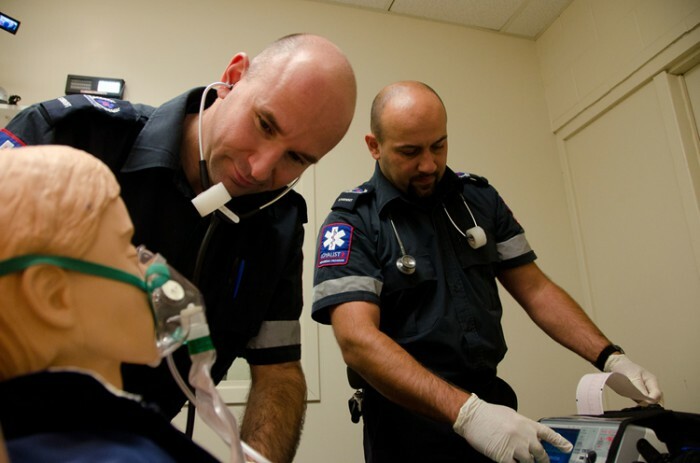 This course provides an overall review of the core concepts of paramedicine and pre-hospital care. It will correlate the concepts of clinical, field care and theory and its application to the patient. This course focuses on the paramedic's role in various long-term, chronic care, and specialty facilities and the socioeconomic impact on care these institutions represent. The importance of the paramedic's role in the team approach as well as the benefits these various institutions bring to the patient and health care system are explored. This course provides the student an opportunity to further develop practical and theoretical skills acquired in the classroom setting. 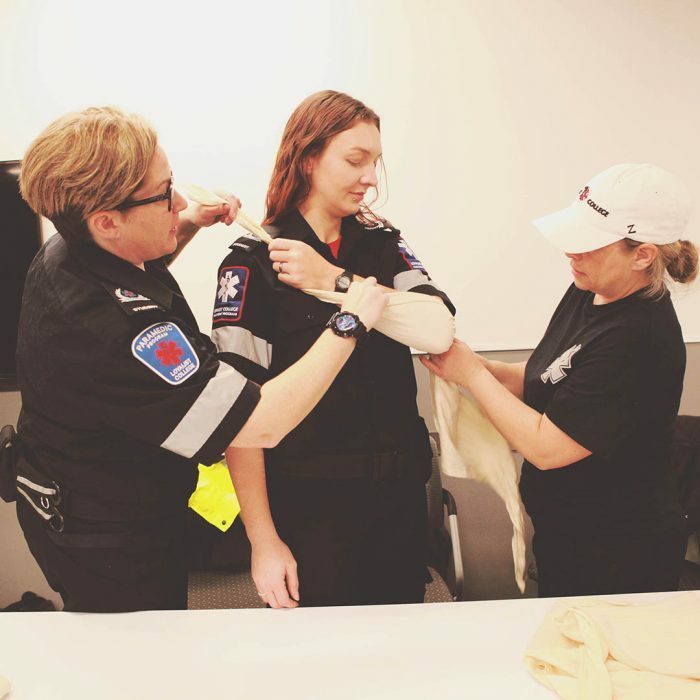 During this clinical phase the student will be in a variety of hospital settings, which will allow them to increase their confidence and independence and prepare them for a pre-hospital career. 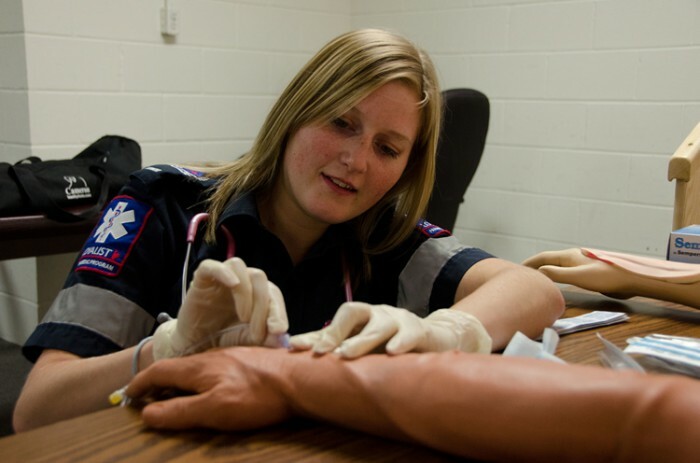 Critical thinking skills are developed by researching and discussing issues relevant to the practice of paramedicine. Students will look at the importance of research, knowledge, theory and practice, and how evidence-based practice and the research process apply to ethics and clinical practice in the pre-hospital setting. 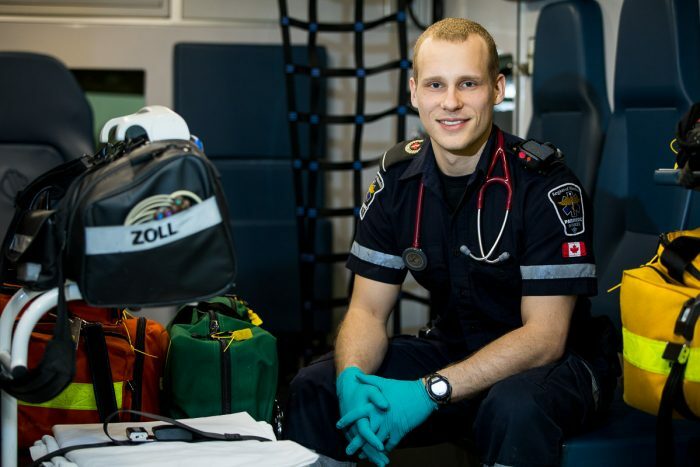 This course will also encourage students to understand the professional role of paramedics to be leaders and/or agents in the advancement of their profession. This course is a further exploration of the foundational skills and abilities developed in Advanced Skills 2 with an emphasis on critical thinking, clinical judgment and decision making, and utilizing best practices in relation to airway assessment and management as outlined in the Ministry of Health protocols (ALSPCS). 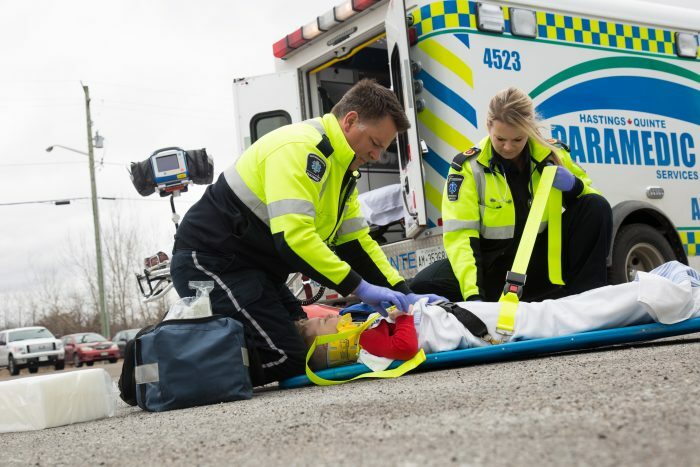 Further acquisition of knowledge and understanding specific to personal protection and patient-led treatment plans in the evolving field of paramedicine will be a focus. 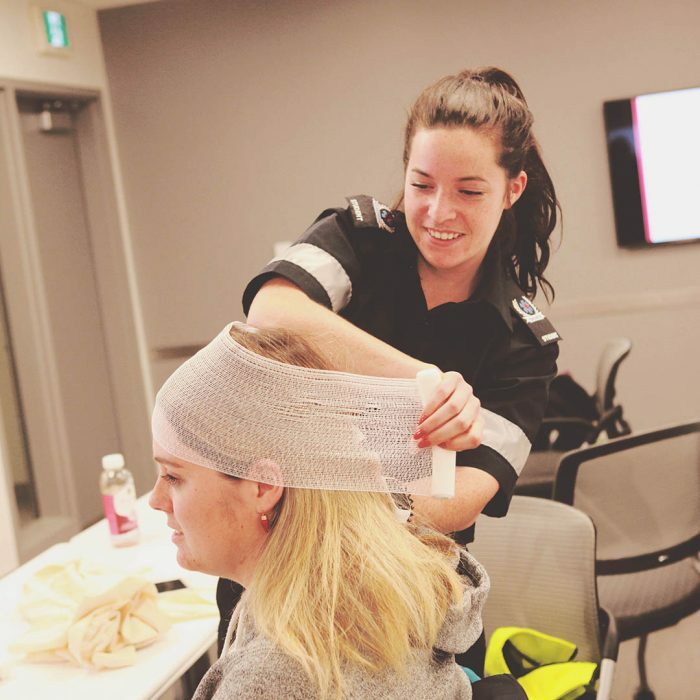 This course is a continuation of Ambulance Field Placement 1 and will continue to provide an opportunity for students to apply the core concepts of paramedicine and pre-hospital care in a real-world setting. It will correlate the concepts of clinical, field care and theory and its application to the patient while working as part of a paramedic crew in an ambulance. Students consolidate key concepts of pre-hospital care. Course participants relate and integrate theoretical concepts previously learned with clinical situations. Challenges of the student-to-paramedic transition will be thoroughly discussed. Students receive feedback following a comprehensive evaluation of their theoretical and practical skills. Students must provide an iPad, iPod Touch or iPhone (or Android) meeting minimum College requirements. Driver Abstract, Full Class G upon entry, Class F prior to graduation. Up-to-date tetanus and diphtheria, polio, measles, mumps, rubella, varicella (chicken pox), Hepatitis B (incl. Hep B within the last 24 months) and TB skin test. Standard First Aid and CPR HCP certification. Criminal Record Check and Vulnerable Sector Check. (Certain criminal convictions may prevent participation in placements and program completion may not be possible). 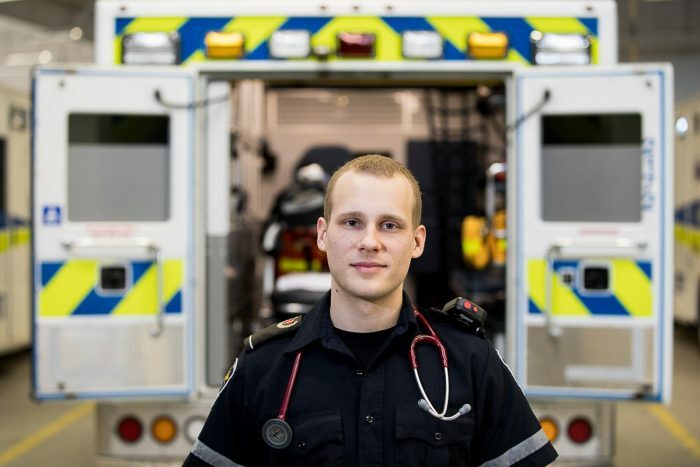 Paramedicine is a physically demanding profession. It is strongly recommended that all applicants have a high level of fitness. Students will be required to successfully complete comprehensive lifting and fitness evaluations in the first and second year to be successful in the program. 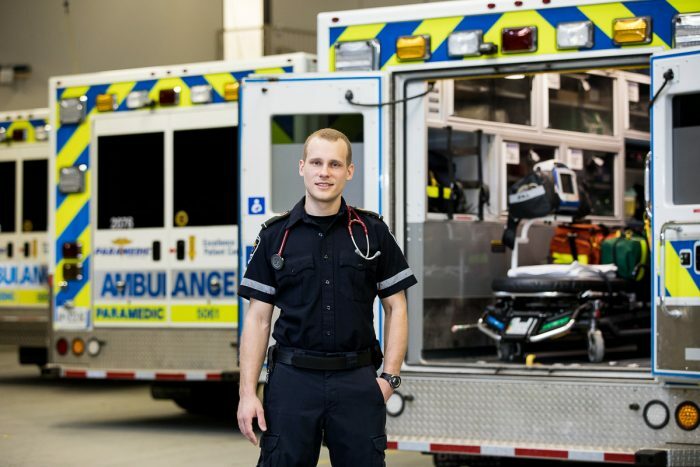 Upon completion of this program, graduates must be successful in a theoretical examination set by the Ministry of Health, Emergency Health Services Branch, Ontario in order to be certified as a paramedic and thus to be eligible to work in an ambulance service in Ontario. The cost for the examination process is the responsibility of the graduate.